Shaped around its beautifully restored industrial past, Turbine Hotel & Spa in Knysna is unusual and unique | Eat. Play. Drink. Cape Town. 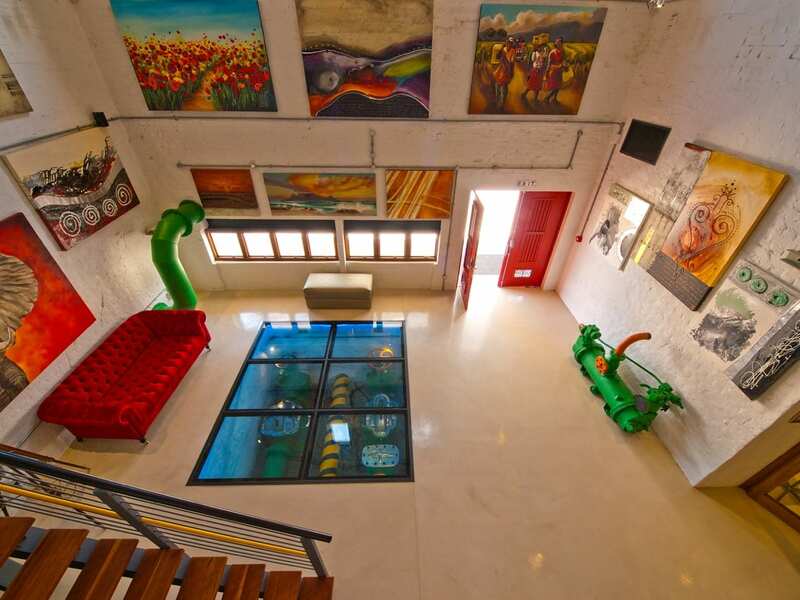 ONCE a power station, this five-star hotel on Thesen Island acknowledges its origin by incorporating the old machinery, pipes and fixtures with a cool contemporary design softened by artworks curated by Knysna Fine Art Gallery. We’d arrived there via plane and automobile (no trains); the Airlink flight from Cape Town to George is short and sweet, and the drive through Sedgefield and Wilderness is timelessly pretty and still the part of the country where the fynbos smells the best to me. 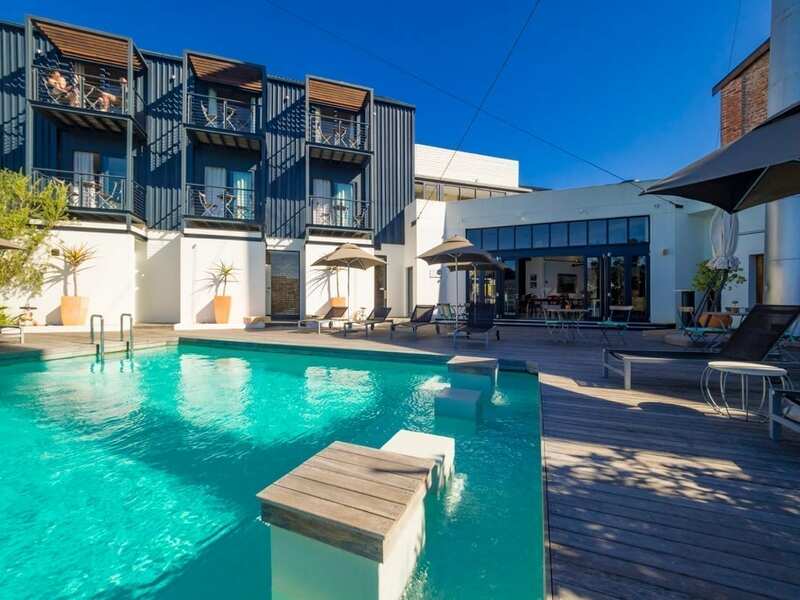 Once checked in at Turbine, it’s a suitable home base for your weekend in Knysna. Surrounded by canals and holiday homes, the area has a number of high-end boutiques, restaurants, and a motorcycle museum close by. 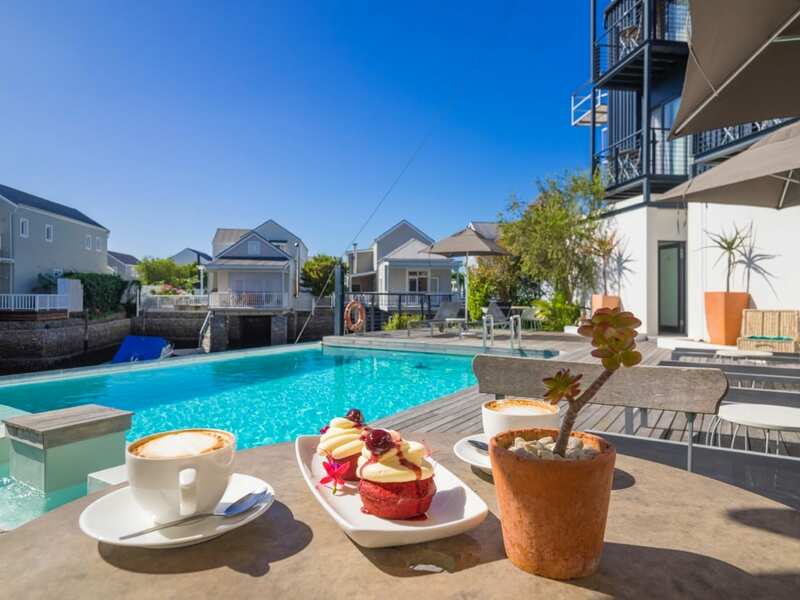 The Knysna Waterfront – filled with more (expensive) shops and restaurants alongside a yacht marina – is a short walk away, and it’s only a kilometre and a half to the main road of the town itself. 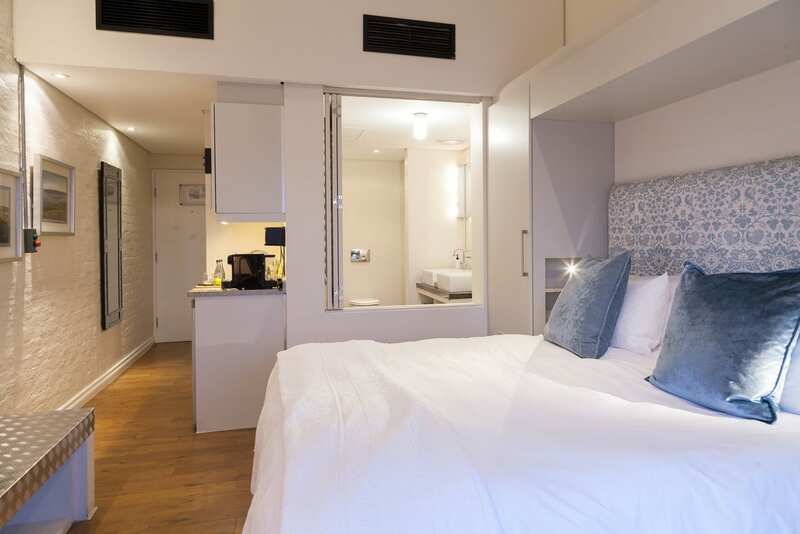 Accommodation comprises luxury and standard rooms, a honeymoon suite, and two self-contained suites adjacent to the hotel. The rooms have been worked around the existing structure so they’re all different in shape and size, and individually decorated within certain themes. Mine was Room 111, or The Elephant Room – a nod to the animals which once roamed in this region in abundance, until they were hunted virtually to extinction. In my room they were represented by black and white photographs, and a painting of a mother and calf in a forest environment. Dining options at the hotel include the Island Café Restaurant, which has tables overlooking the canals, on the pool deck, or nestled between the original refurbished turbines which have been painted in bright colours; and the Gastro Pub for casual meals indoors and outside, as well as craft beers, wines, and cocktails. I was delighted to discover they make a jolly nice White Russian, which is one of my favourites, made famous by a favourite movie. The deck has an infinity pool (frequented by enthusiastic Egyptian geese), and is a lovely place to have your meals, which we did a couple of times. When it comes to pursuits that are not eating, drinking and shopping, there are the Turbine Spa and the Turbine Water Club, which can be enjoyed separately – by hotel guests as well as day visitors – or as a package. For example, go kayaking around the canals for a bit, then come back for a deliciously relaxing full body massage. The Water Club offers a variety of water- and land-based activities, including forest walks (where you may or may not still spot a wild elephant), city tours and bicycle hire. It also arranges lagoon cruises, which are an absolute must while you are here. We embarked on one just before sunset, on board one of the hotel’s two motorised pontoon barges. Fortified with bottles of bubbly on ice, a whole lot of snack platters, and our guide/captain/driver Monty, we headed out towards the famous Knysna Heads. These two large rocky outcrops mark the ocean’s entrance to the lagoon and is apparently the second most dangerous shipping passage in the world, after Christchurch in New Zealand. The very first ship to attempt coming through there in 1817 ran aground, and there have been many more since then. Once inside the lagoon, it’s sheltered enough for boating, kayaking and even swimming. A popular dive site too, the wreck of The Paquita (1903) is accessible and suitable for all levels of experience. Back at the hotel, there was art demanding to be admired. From the lounge in the lobby and throughout all the public space, there are incredible pieces by South African artists including Jenny Parrsons, Aidon Westcott, Jan Schutte, Jonathan Silverman, Arjan van Arendonk, Krisjan Rossouw, Marie Kearney, photographer Glen Green, John Michael Meterlerkamp and Brandon Z Perkus. “We’re proud of our funky industrial-chic décor and as we take pride in featuring local talent and supporting its heritage, we’ve turned some of our spaces into an informal art gallery,” says the hotel’s general manager Chris Schutte. Curator Corlie de Kock says the works are carefully selected to enhance the aesthetic of this space. “We take pleasure in assembling a body of contemporary artworks that will provide the Turbine’s guests with an exceptional and unexpected pleasure – one that will surprise and delight both art novices, and the more sophisticated collectors,” she says. Turbine Hotel & Spa truly is an unexpected and quirky combination of history, heritage, creativity and modernism.